For many students in the millennial generation, library card catalogues are foreign objects akin to rotary phones and VCRs. Today’s college undergraduates have grown up in the internet age, with online search engines and e-journals making it possible to conduct nearly all their research entirely from the comfort of their dorm rooms. This fact is not lost on Prof. Noam Pianko, who jokes, “My students this spring did two they’ve never done before: look through an old-fashioned card catalogue, and build a blog site.” For his Spring 2014 Digital American Jewish History course (JSIS C 336A), older and newer technologies mingled together in the syllabus. The result? 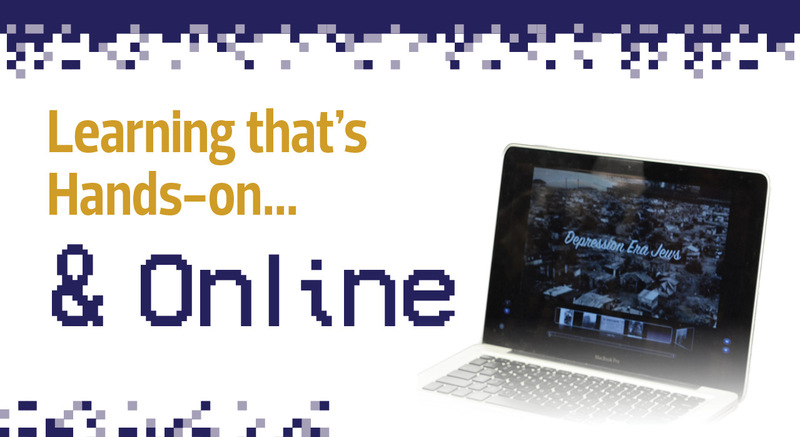 A unique learning experience that was both hands-on—and online. Partnering with the Washington State Jewish Historical Society (WSJHS), Prof. Pianko built his history course around the archives at UW Library Special Collections. His initiative was supported by a UW Technology Teaching Fellow Award, a New Media in Jewish Studies Fellowship, and a grant from the Jewish Federation of Greater Seattle. Students were able to access the archives in order to engage directly with local Jewish history, leaders, events, and institutions. Their new media assignments included creating interactive online maps of early 20th-century Seattle neighborhoods, assembling online galleries of archival photos, and producing videos based on primary sources and secondary research. UW Senior John Larsen focused on the seminal Seattle religious leader, Rabbi Raphael H. Levine (1901-1985), who was the chief rabbi at Temple De Hirsch for four decades. 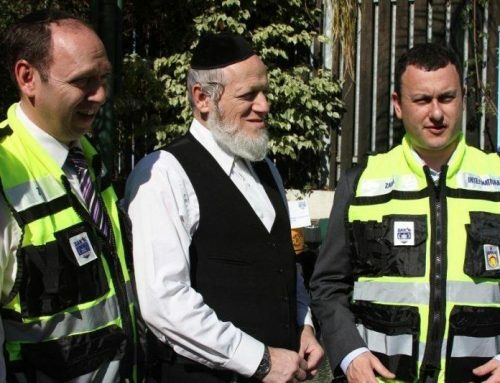 Fascinated by Levine’s multi-faceted career and interfaith activism, Larsen created an interactive website to showcase the rabbi’s many achievements. 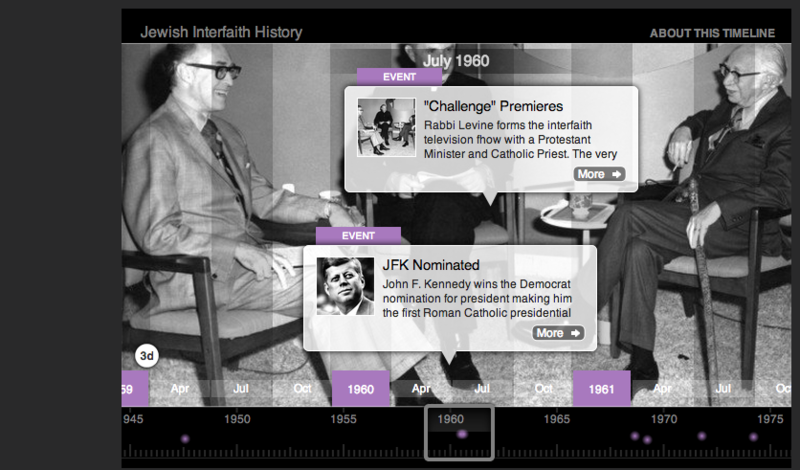 A timeline shows when the television show “Challenge” premiered, featuring Rabbi Levine in dialogue with a Catholic priest and a Protestant minister. 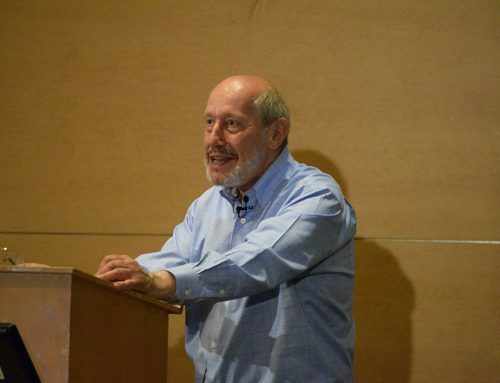 After excavating Levine’s writings and sermons, Larsen created a two-minute video, “What is a Jew?,” to examine the questions Levine raised about Jewish identity in mid-century America. UW senior John Larsen created an interactive timeline showcasing the accomplishments of Rabbi Raphael H. Levine, a Seattle religious leader and interfaith activist. “My goal is to empower students to become public historians who can help make the past come alive,” says Prof. Pianko. 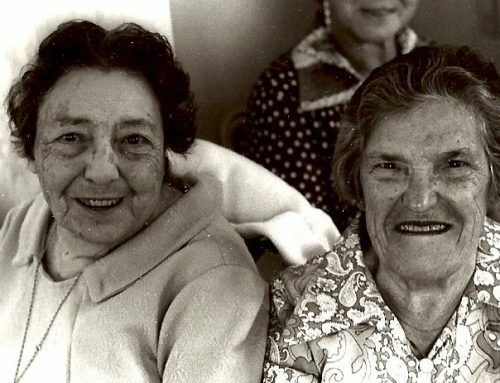 “The Washington State Jewish Historical Society archives are an ideal resource to help train our students to become storytellers in any format.” He hopes to eventually accumulate enough archive-based projects to form a digital museum of Pacific Northwest Jewish history, accessible to all; for now, selected projects from his course are viewable at this online gallery on the UW Jewish Studies website. The impressive student projects for Pianko’s Digital American Jewish History course represent a much broader set of digital initiatives for UW Jewish Studies. Over the past several years as head of the program, Prof. Pianko, who has a background in computer science, has advocated strengthening the role of technology in both classroom experiences and community engagement. His leadership in the growing field known as “digital Jewish Studies” has placed the Stroum Center at the forefront of national Jewish Studies programs, all of whom are seeking effective ways of bringing the humanities into the 21st century. Like most professors, Joel Migdal is used to fielding questions from his students. However, the foreign policy expert and longtime Jewish Studies faculty member found himself routinely receiving email inquiries not just from students, but from lay scholars interested in international affairs and conflict zones like the Middle East. He began offering optional Q&A gatherings with his undergraduates promising to answer any question they could generate about US foreign policy. Then, he decided he wanted to offer the same interactive option in a virtual space—but he had to figure out how. Luckily, thanks to the Stroum Critical Needs Fund, the Stroum Center’s resources were there. Prof. Migdal took the opportunity to join the Stroum Center’s first-ever Faculty Digital Fellowship in 2013. 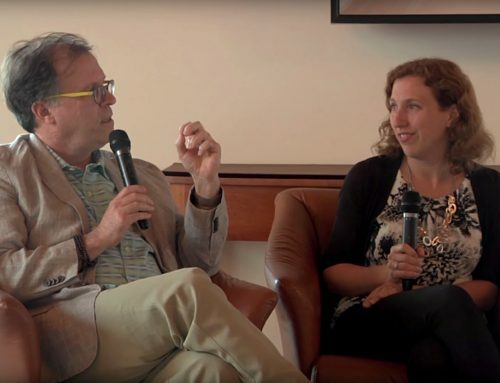 This new media training program for Jewish Studies faculty is aimed at empowering professors to create a more robust online presence in order to boost their public scholarship. During the 2013-14 academic year, monthly trainings were run by Kara Schoonmaker, the Stroum Center’s Digital Media Coordinator, with facilitation by Prof. Pianko and Dr. Hannah Pressman, the Stroum Center’s Communications Director. 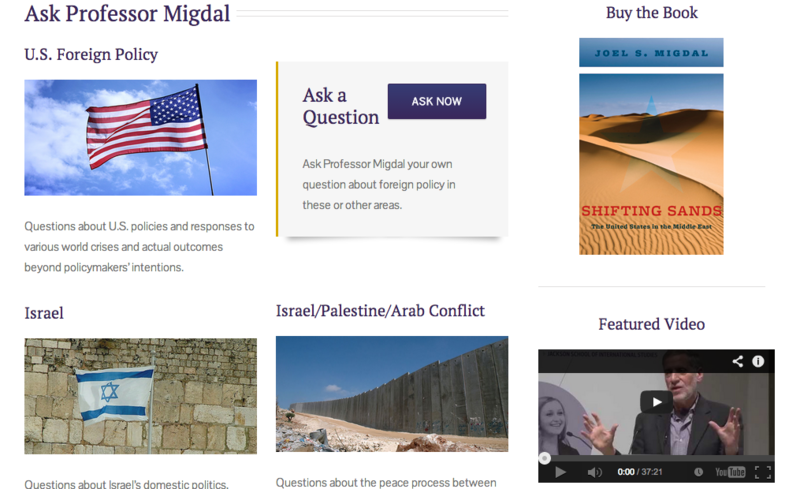 Prof. Joel Migdal’s interactive foreign policy website includes an “Ask a Question” feature and plenty of videos. 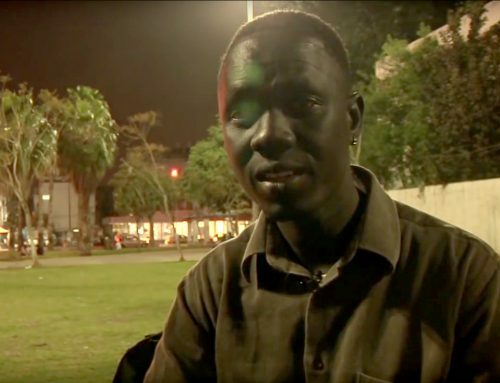 Likewise, the Fellowship’s other participants all created unique projects to bring their scholarship to broader audiences. Prof. Ana Gomez-Bravo created The Converso Cookbook, a blog featuring the recipes and culture of Spanish Jews during the Inquisition. 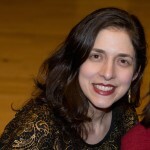 Prof. Naomi Sokoloff put together Modern Hebrew at UW, a website showcasing the resources and course of the Hebrew program, as well as her own blog posts and research. And Prof. Devin Naar worked with Prof. David Bunis, last year’s Schusterman Visiting Professor of Israel Studies, to film a how-to video about soletreo (the written script of Ladino), which will certainly be a unique contribution to students of Judeo-Spanish around the world. Notably, Jewish Studies faculty weren’t the only professors to benefit from the first round of digital trainings. Through a Mellon Grant partnership, Prof. Pianko worked with Prof. Sara Curran, director of the Center for Global Studies, to develop a dynamic web portal. As part of the partnership, the Stroum Center’s digital teaching team opened up the monthly workshops to Jackson School faculty who wanted to hone their online skills. Cutting-edge technology doesn’t mean sacrificing the quality of academic instruction; on the contrary, students’ learning experiences can be immeasurably enriched. And, as the innovative projects from Prof. Pianko’s history class and the Faculty Digital Fellowship show, the community will benefit from students’ and professors’ empowerment as digital storytellers. This fall, the Stroum Center will roll out a new version of its website at jewishstudies.washington.edu. Designed as an interactive portal, the site aims to integrate faculty research and Digital Fellowship projects, student coursework, and community involvement. One new feature will be JewishStudiesHUB as the location of UW Jewish Studies’ active blog. On one hand, HUB plays on the common nickname of the Husky Union Building (HUB), the beloved UW Student Center. Yet HUB also indicates a place of convergence, where different ideas intersect and spark new conversations. The redesigned Stroum Center website includes a vibrant HUB page where readers can access blog posts and video content. At JewishStudiesHUB a student’s travelogue about synagogues in Prague may appear alongside a faculty member’s video about Spinoza; a graduate student’s excavation of an archival Ladino notebook might be in dialogue with a post about nouveau Jewish delis. 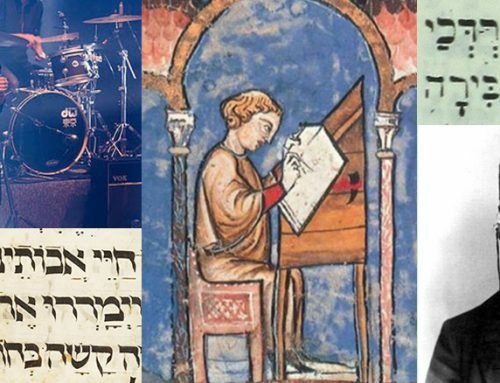 These opportunities for connecting across disciplines and cultures are precisely the aim of JewishStudiesHUB—and the Stroum Center as a whole. New technologies have already made an indelible mark on the way we teach our students and engage with our supporters, here in Seattle and around the world. With its commitment to innovation that makes an impact, UW Jewish Studies is serving as a national model for how to harness new media in the service of good, old-fashioned learning. So dust off those card catalogues and roll up your sleeves: we’ve got a website to build. A version of this article appeared in the Stroum Center’s Fall 2014 Newsletter.